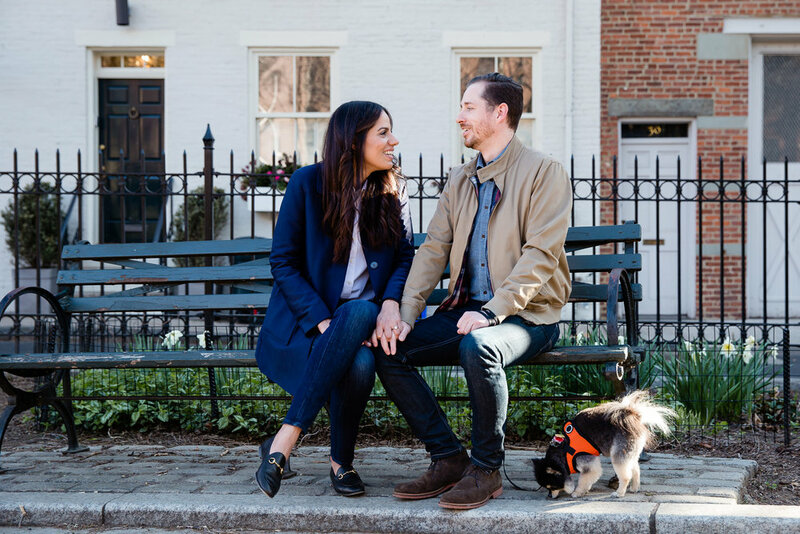 We kicked things off in Cobble Hill Park, where John proposed to Yasmin last summer, seemingly in the middle of a conversation on a simple bench in the middle of the park. 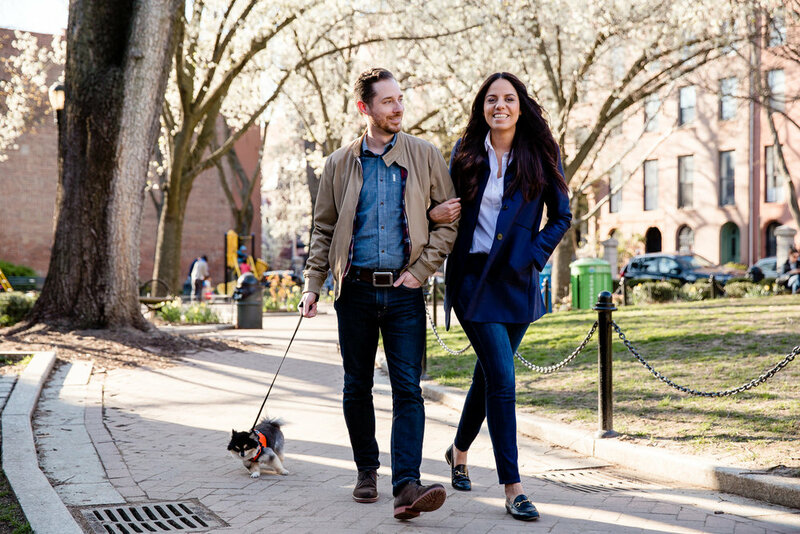 We took their ADORABLE dog Rocket with us on the walk (I always love the chance to hang out with my clients' pets!). It was fun to be in such a special location for their relationship and to capture this place in photos with them. After a nice walk around the neighborhood and a quick costume change we headed back out towards Brooklyn Bridge Park to wander through the paths and the newly green trees. 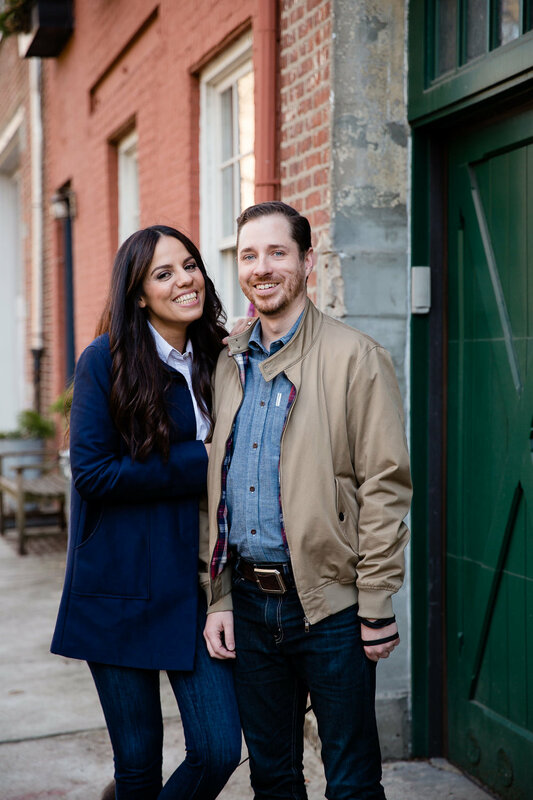 I had a wonderful time getting to know Yasmin and John a bit better before their Brooklyn Botanical Gardens wedding this summer and I'm thrilled I had the opportunity to spend this time with them. If the engagement session was any indication, the wedding is going to be a beauty!